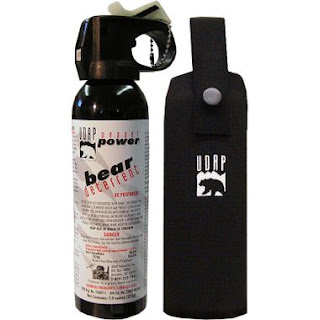 We’d like to encourage everyone to RECYCLE their bear spray canisters! There is a bear spray recycling machine located in the greater Yellowstone area. 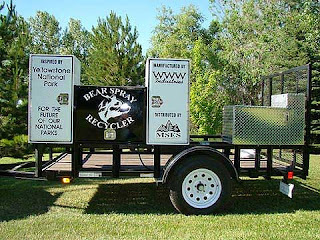 Bear Spray recycling is a fantastic concept and in May of 2011 the first ever fully functioning machine was built. If you recreate in and around Yellowstone, you can drop off your bear spray at many Forest Service and Fish and Wildlife Parks locations. If you are traveling, you may drop off your bear spray to be recycled at any of the park entrances, many hotels, and some airports prior to leaving. Also, if you wish to send us your canister directly we will recycle it for you. To send a canister to UDAP, please use this address. Expired cans can also be used for training you and your family. Be sure to practice with it away from people, buildings and pets. Make sure it is in an area where the spray will not return to you and your family causing the uncomfortable effects of the product. You can also give your spray to a friend or relative if it has not been used. We would never recommend using a canister from someone that has sprayed it before. You can even give it to a ranger in the park. 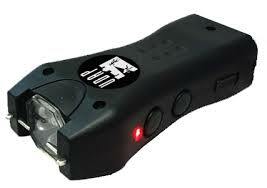 Many rangers will take the product as they or their coworkers use it frequently for practice. The recycling process is significantly efficient. It has the capability to actually separate the active ingredient from the inert contents through a coalescing filter process. Then the separated ingredients can be reused. Early on in development UDAP mentioned that the propellant could possibly be used to recharge air conditioners in vehicles. It is our understanding that this is what’s being done. Also we introduced the idea of the pepper being used in paints for the bottom of boats. Pepper deters barnacles from attaching to surfaces that have been pepper treated. Also pepper is used in creams in pharmaceuticals for arthritis pain relief. The aluminum canister is sold to a recycling business. 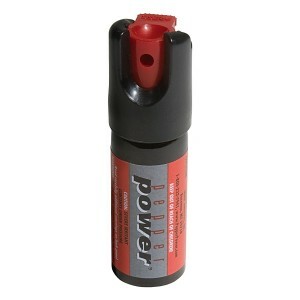 Should you wasp spray instead of bear spray? 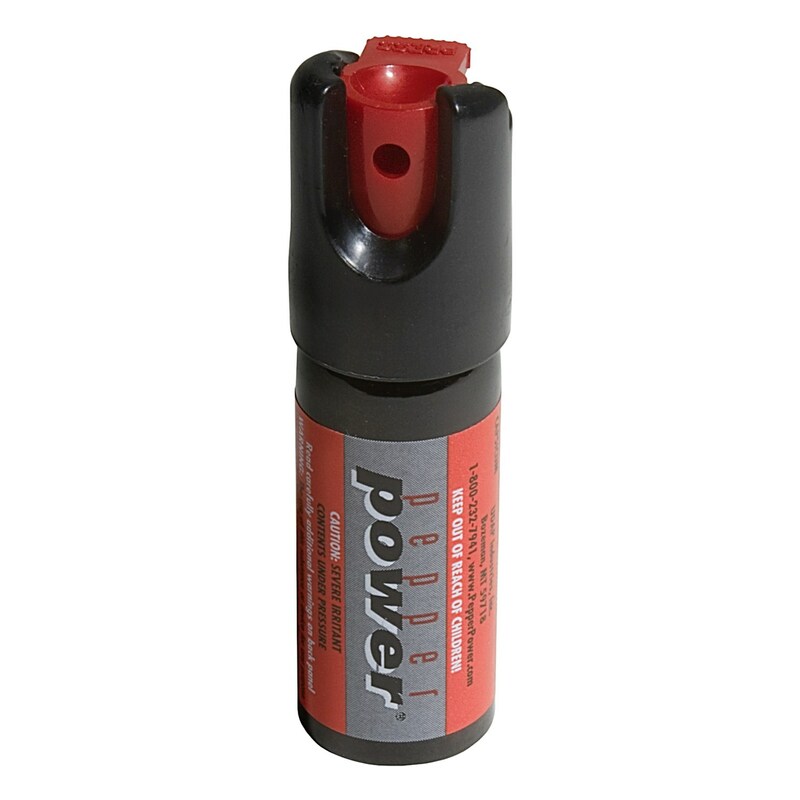 I recently heard a self-defense teacher tell her students that they should keep a can of wasp spray by their bed if they couldn’t afford bear spray and they could also carry a can of wasp spray with them to help with self-defense. But we’d like to discourage you from doing this for 2 very important reasons. The active ingredient in most sprays are derived from plants and intended to penetrate the nervous systems of insects and kill them. 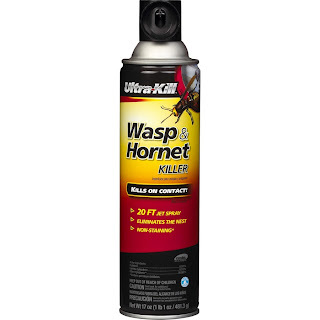 Wasp sprays have not been formulated to work as self-defense on humans has not been tested and it could make a human sick, but may not stop a person who is trying to attack you. 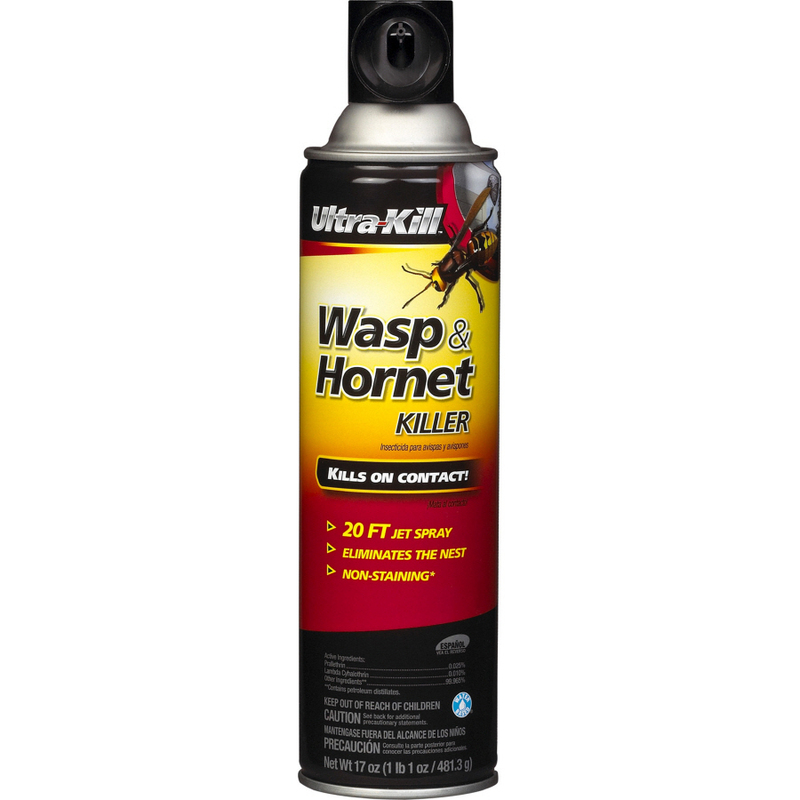 The main ingredient in wasp spray is pyrethrin and its toxic, it may make your assailant sick, but it won’t stop them from attacking you. And using wasp spray on a bear is going to have the same reaction. It might make the bear more angry, but it isn’t going to stop him. The biggest train of thought was that wasp spray could spray and go shoot farther than bear spray, but that isn’t true either. Read the package insert on your bear spray or visit our website and you will see that UDAP Bear Spray is very effective and can spray up to 35 feet. So no more wasp spray!